Hosni Mubarak became president of EGYPT in 1981 after the assassination of Anwar SADAT. Reelected several times, Mubarak has steered Egypt through a difficult period marked by growing unrest, guerrilla violence, and threats from Islamic political groups. Born in the Nile River delta to a peasant family, Mubarak graduated from the Cairo Military Academy in 1949. He embarked on a career in the Egyptian air force, rising steadily in rank. As commander in chief of the air force, he took charge of Egypt’s air preparations for the Arab-Israel War of 1973. Because of Mubarak’s outstanding service, President Anwar Sadat appointed him vice president in 1975. After Sadat was assassinated, Mubarak took over the presidency. He sought solutions to Egypt’s economic and social problems and tried to curb the corruption that had marred Sadat’s last years in office. Although Mubarak encouraged Western and Arab investment in Egypt, he limited the role of foreign corporations in the country. 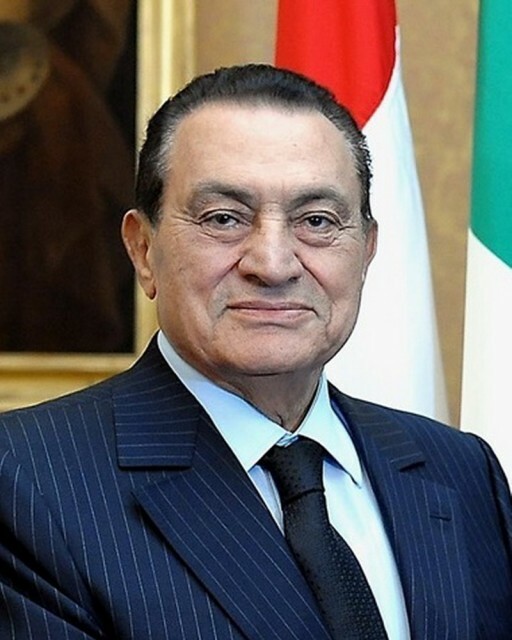 In foreign affairs, Mubarak maintained close ties to the United States. He also began repairing Egypt’s relations with other Arab countries, which had been damaged when Sadat signed a peace treaty with Israel. In 1990 Mubarak attempted to resolve a dispute between Iraq and Kuwait. When Iraq invaded Kuwait the following year, causing the Persian Gulf War, Mubarak supported the United States and its allies and sent troops to assist in the military campaign.